Wise investors following the principles of King Solomon know that prudence and forward thinking lay the groundwork for prosperity. And it turns out that investors who take Jason Hartman’s advice to buy income property and hold on to it are not just building wealth for the long term, they’re also avoiding the bite of the capital gains tax. The capital gains tax is imposed on profits made from the sale of assets during the applicable tax year. That includes investments of all kinds, and the sale of personal possessions and property. Capital gains taxes are assessed based on income, with a new 3.8% net investment tax applied to higher income taxpayers, so it’s possible to lose a significant amount of profits from the sale of an asset. Since the capital gains tax hits when assets are sold, it’s no surprise that those who sell high-end assets like precious metals, stocks and real estate can expect to see a dent in their gains from a sale. Capital gains taxes become an issue not just because of the fact of selling an asset, but also in terms of how long an asset is held. The 2014 capital gains tax statutes set different rates and conditions for short term and long term assets that are sold in a given tax year. 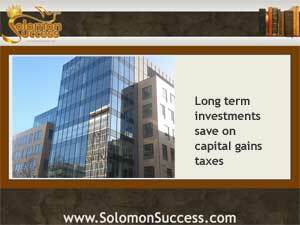 Short-term capital gains are typically taxed at the highest rates – equal to an investor’s ordinary income tax rate. That applies to assets held for less than a year, hitting precious metals speculators and “house flippers” who turn over several properties a year particularly hard. On the other hand, long-term capital gains rates are typically lower. But those rates vary considerably, depending on the kind of gain, and a taxpayer’s income. Here too, precious metals investors take a bigger hit, because those assets are generally taxed as collectibles with a higher tax rate of up to 28%. Sales of certain kinds of property, though, factor in depreciation of the asset and come in at a tax rate of 25% or less. Capital Gains Tax Rules: Benefits for Investors? Is Gold a Prudent Investment Today?